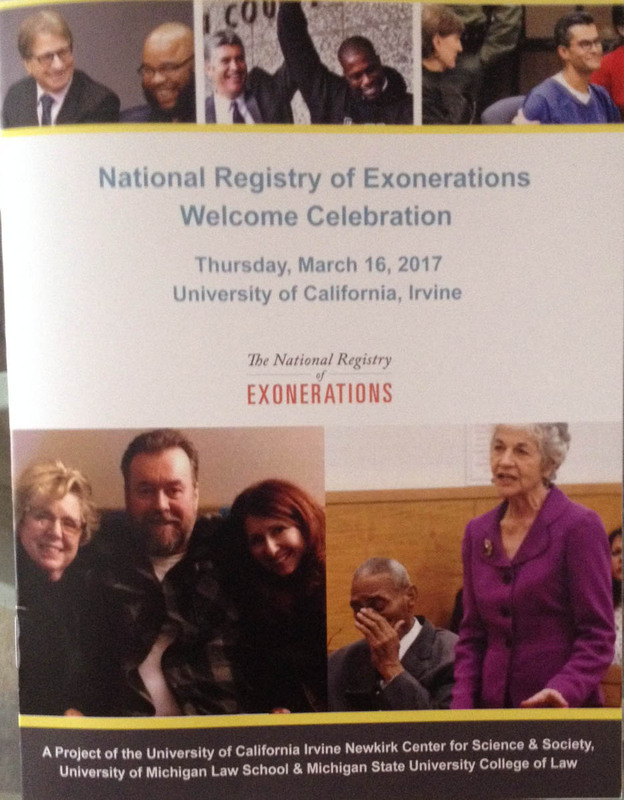 Thursday marked the official transfer of location of the NRE to the UC Irvine (CA) Newkirk Center for Science and Society. Here are a series of live streaming presentations that represent the purpose and future plans for the NRE. It will continue to do groundbreaking research and criminal justice policy influencing. Here’s is Brandon Garrett’s take on the NRE’s value. Samuel Gross, Elizabeth Loftus, Mons Lynch, Shero Thaxton, William Thompson, Maurice Possley, Jon Eldan, Alexandra Natapoff, Barry Scheck, Henry Weinstein, Barbara O’Brien, Erwin Cherminsky, Simon Cole, Rob Warden, Franky Carillo, Brian Banks, Denise Foderaro. This entry was posted in Crime lab scandal, criminal justice reform and tagged criminal justice, false eyewitness testimony, junk forensic science, Miscarriage of justice, National Registry of Exonerations, plea bargains, prosecutorial misconduct, wrongful convictions. Bookmark the permalink.